Last night at about 8:10 I got a phone call from a number I didn't recognize. Usually, I ignore these calls but for some reason last night I answered. Turned out it was a poll taker asking political questions doing a pushpoll! Most of the questions revolved around the Jeremy Shaffer/Lindsey Williams race. The pollster referred to it as "the Democrat party"
To be clearer, the point of the poll was not to gather information about what the voters are thinking but rather to plant negative information about one candidate into the minds of the voters. So I'm guessing yea, it's a pushpoll. Recently, Donald Trump referred to Democrats as an "angry mob" and "unhinged" and "too dangerous to govern." Very simple question this week: given that about four million of your constituents are, in fact, members of the Democratic party, do you agree with this assessment? Please note that I am not asking you whether you think it's a good idea for him to say it or whether his rhetoric has gotten out of hand, I am just asking if you agree with him - seeing as he's insulted a very large portion of your constituents. Oh, and The NYTimes is reporting that the deficit jumped 18% in 2018 due, in large part, to the tax cuts you and your party passed. I thought the GOP took the budget seriously. I suppose now that your guy is in the Oval Office that's no longer the case - your thoughts?. You voted to elevate Brett Kavanaugh to the Supreme Court. I am guessing you're already getting a great deal of critical (and necessary, given the severity of the issue) feedback about the sexual assaults alleged to have occurred in his past, so let me ask you about of his perjury instead. Perjury is a very serious crime, Senator. Sitting presidents have been impeached for perjury, as I am sure you know. So, all politics aside, where are your principles in supporting a man who lied to the Congress in order to sit on the Supreme Court? This letter has been answered here. Yea, I know - what a surprise!! 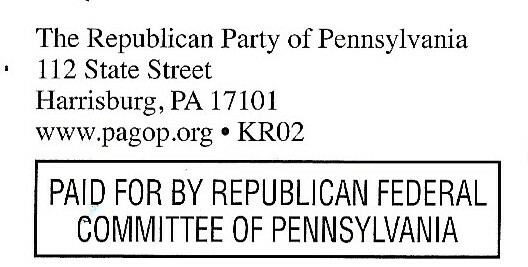 A few days ago I received via the Post Office a mailing from the "Republican Federal Committee of Pennsylvania." 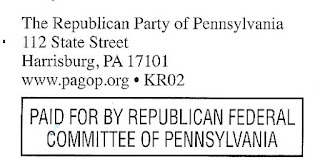 How do I know it's the Republican Federal Committee of Pennsylvania? And what sort of statewide dishonesty has been aimed at Representative Lamb? Dangerous for Seniors: Lamb supports a dangerous and radical healthcare plan which robbed over $800 billion from our Medicare program. 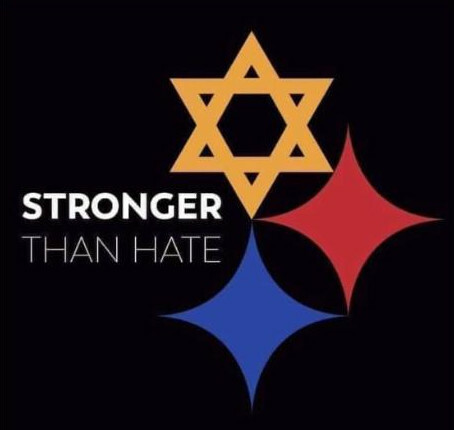 With a footnote that leads you here to The Beaver County Times. So, let's go see what The Times had to say about Conor Lamb and healthcare, shall we? Lamb said he “fully” supports the Affordable Care Act, also known as Obamacare, because it provided insurance to millions of Americans who would not otherwise have coverage. He said the individual mandate, which Republicans repealed under President Donald Trump, was “a very important ingredient” in the ACA. Also, Lamb said the government should do more to market and recruit Americans into ACA plans, yet the Trump administration has done the opposite. Asked specifically about Medicare for all, Lamb said expansion could cost $3 trillion and he has not seen a plan to pay for it. “I support ideas that we know we can pay for,” he said. Look closely at the text - look at what it says and, just as importantly, what it doesn't say. If the committee is talking about Lamb's support of Obamacare, why not just say "Obamacare" instead of "a dangerous and radical healthcare plan"? What are they hiding by the ad hoc relabeling? The simplest theory is that they simply don't want you to think they're talking about Obamacare (which, according to the Kaiser Foundation is still popular as it has, at this point, a 50% to 40% favorable to unfavorable rating) but about some other healthcare plan (a scary one!) - that has already robbed Medicare of $800 billion. So first, we have a lie of omission. And what about that second part? Has the ACA actually robbed hundreds of billions from Medicare? A Congressional Leadership Fund official acknowledged that the [O'Connor] ad was referring to the Medicare savings in the ACA, using numbers produced by the Congressional Budget Office in 2015 about the impact of repealing the law. Hence, the "over $800 billion" from the Lamb ad. Since Democrats don't want to repeal the ACA, an repeal which would reverse the reduction of Medicare savings of $800 billion, the GOP is asserting that the Democrats want to "rob" Medicare of that $800 billion. See how the GOP "logic" works? Now go back and look at the charge the Republican Federal Committee of Pennsylvania makes about Conor Lamb. Weigh what they've chosen to tell you vs what they've chosen not to tell you in light of what that figure of $800 billion actually means and where it came from. I'll reduce it to a moderately short sentence: Conor Lamb wants to protect $800 billion in savings to Medicare and the GOP says that means that he wants to rob Medicare of that amount. Despite the fact that the GOP wants to cut Medicare funding even more. I turned 55 today. Typical day, I woke up my usual time and again, like every October 5 for the last few years, I am missing a phone call I know I'm not going to get. You see, my mom (who passed away a few years ago) and I had a sweet and curious birthday tradition. Every fifth of October she'd call me on the phone to tell me the story of my birth. I'd listen quietly and politely each year even though I knew all the details from the previous year's call. And the the call year before that. And the one before that. And so on - turtles all the way down. I heard that story every year for more than 20 years - until I didn't. And I miss it every October 5. Make America Great Again - One Swindle At A Time. There are only two possible answers to this next question; yes or no. Yes or no, do you believe that Christine Blasey Ford is telling the truth?